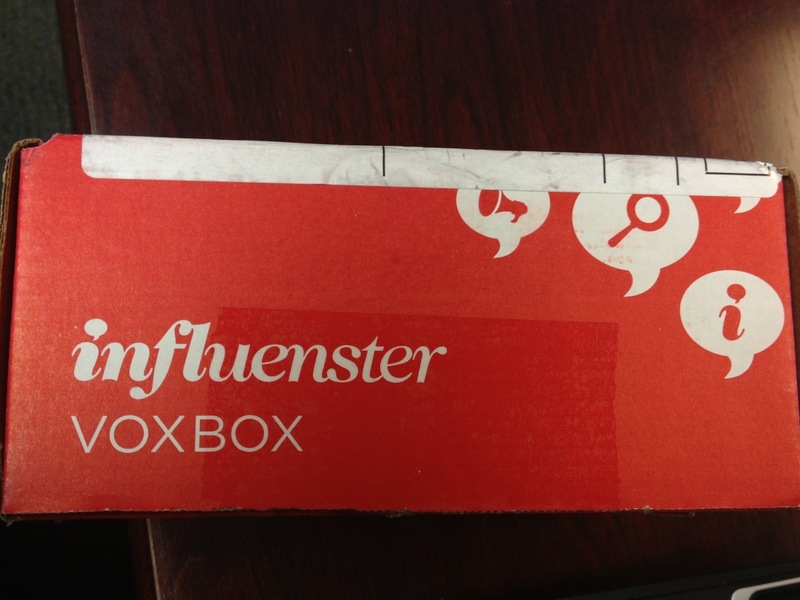 Back in October I registered on the Influenster website in hopes that some day I would get to participate in a Vox Box campaign. Influenster is a website that in a nutshell tries to find people with the most social media influence who are willing to try products for free and use said social media influence to promote those products. Sound like a scam? Nope! Totally legit! Here’s how it works. You register, link your social media accounts, take a few surveys in areas you feel you have the most expertise or interest in such as beauty or fitness, do various other tasks and watch your Influenster score rise. A high score means a better chance of getting a Vox Box. A Vox Box is a box of products to try for free. 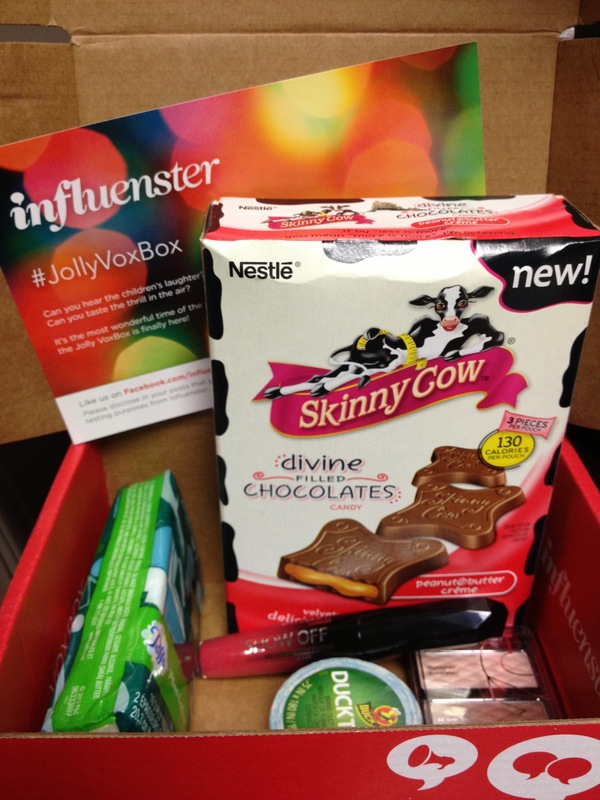 In exchange, Influenster along with the companies represented in the boxes wants its Influensters, as we are called, to promote the products using our social media channels. I love free stuff. I love social media. Seemed like a perfect match to me! So in December I got my very first Vox Box, the Jolly Vox Box. In it was a sample of Puffs Ultra Soft and Strong To Go Tissue, NYC New York Color HD Color Trio Eye Shadow, Rimmel London Show Off Lip Lacquer, Skinny Cow Candy, and Ducklings Mini Rolls by The Duck Brand. I couldn’t wait to try all the products! The tissue was a perfect size to slip into my purse. The lip lacquer was so silky and the color was super vibrant. 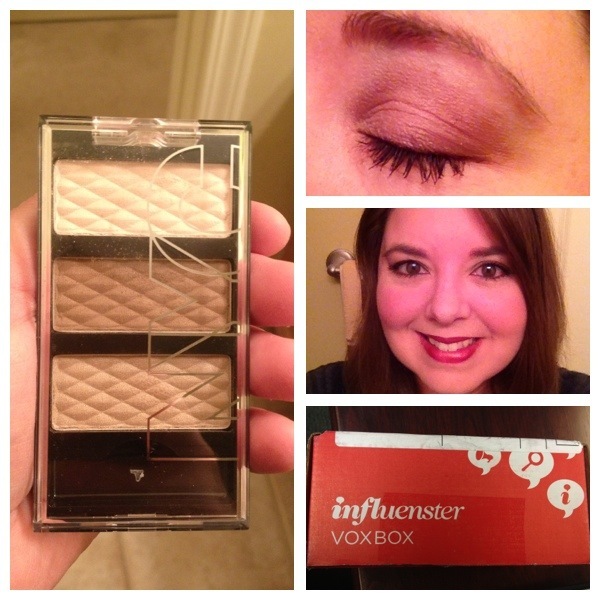 The eye shadow was a perfect day time color and something I can easily wear every day. 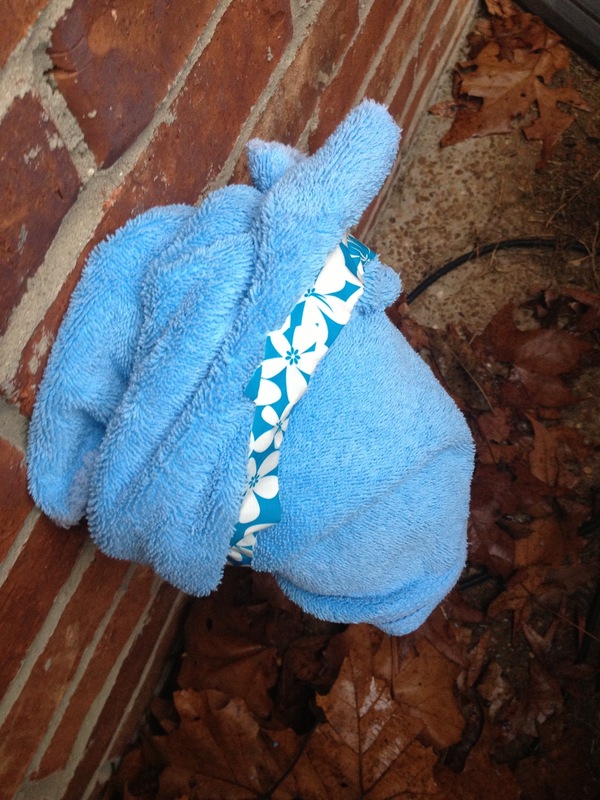 The Ducklings came in very handy when I had to insulate my outdoor faucets due to record cold arctic air. I have the prettiest insulated outdoor faucets in the neighborhood! My favorite, though, was the candy. In no way did it taste light or low cal. Delish! It was really fun to get this box and try all the products.